If you could not tell, I love making soap. The thing I think I like most about it is that I can experiment and play with different colors, scents, and oils. I can say that I have never made two of the same batches of soap. While playing and experimenting can be fun, if you are starting off, it can seem a little overwhelming. 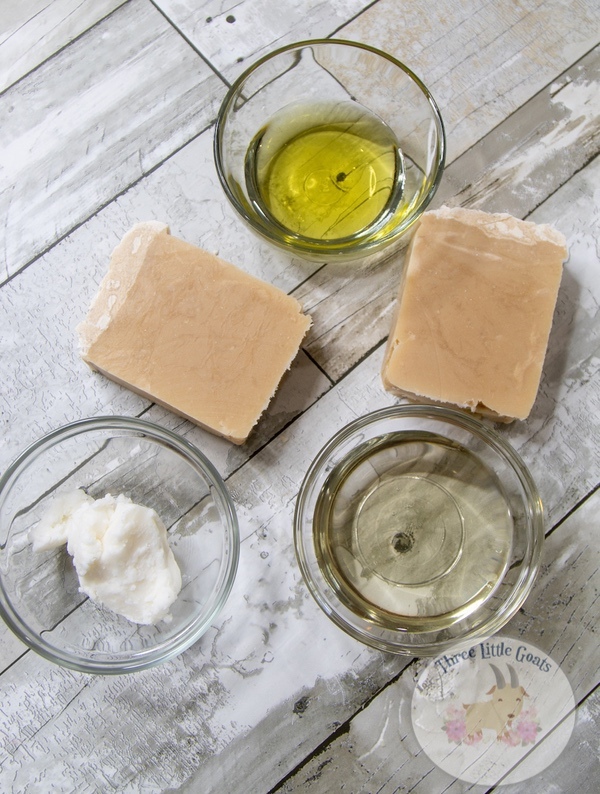 Knowing all of the different qualities of oils for soap making can help the process go a lot smoother, and be a lot more fun! 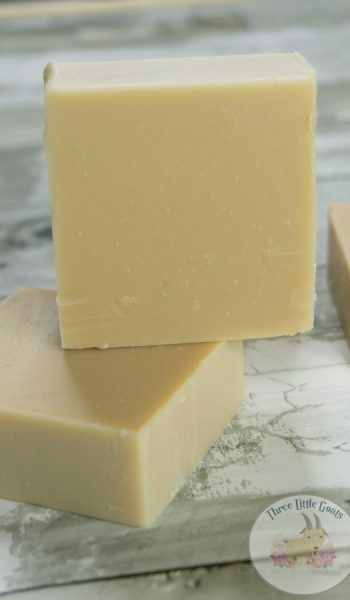 One of the most difficult choices to make is, what oil to use in my soap? 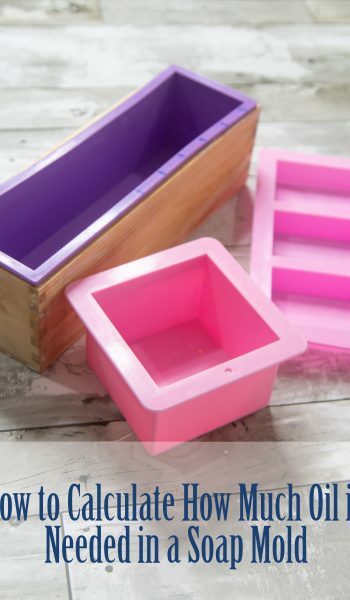 There are so many different oils and butters, and they can each result totally different bars of soap. 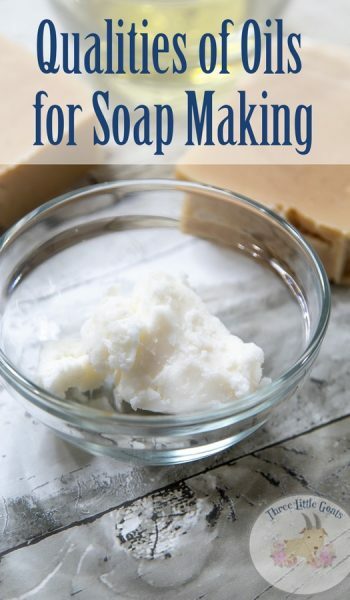 So, to help you create your dream bar of soap, I have compiled a list of the most common oils and butters used in soap making and the benefits associated with each of them. 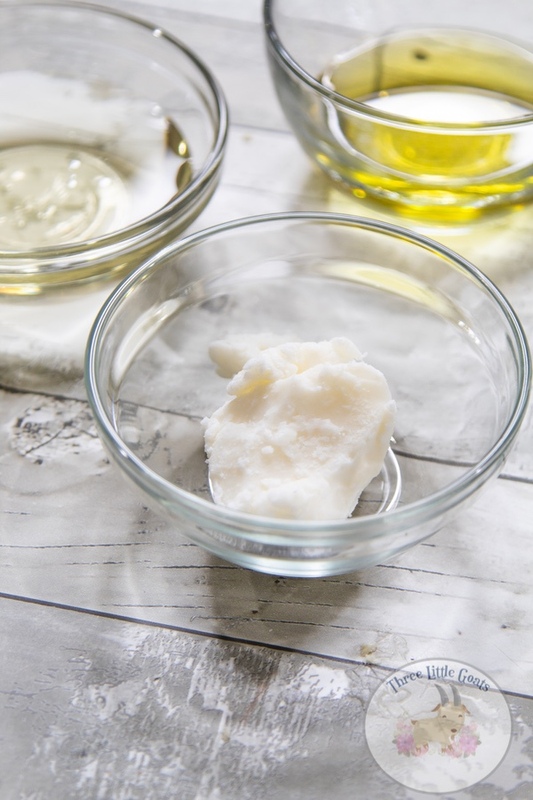 Below you will find a chart of the most common soaping oils and butters used. 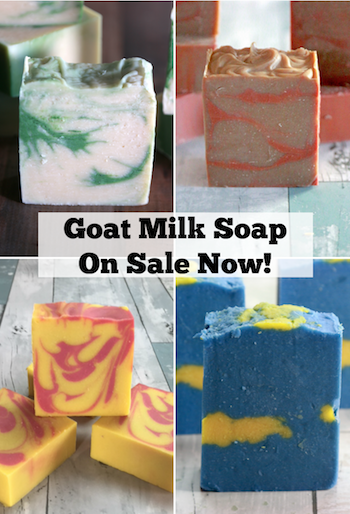 It also breaks down their benefits, how much should be used, and how they can affect the outcome of your soap. There are many options to choose from, it’s easiest to start with some of the most commonly used oils and butters. These include olive oil, coconut, cocoa butter, sweet almond oil, and shea butter. But, with so many different options, the possibilities are endless. 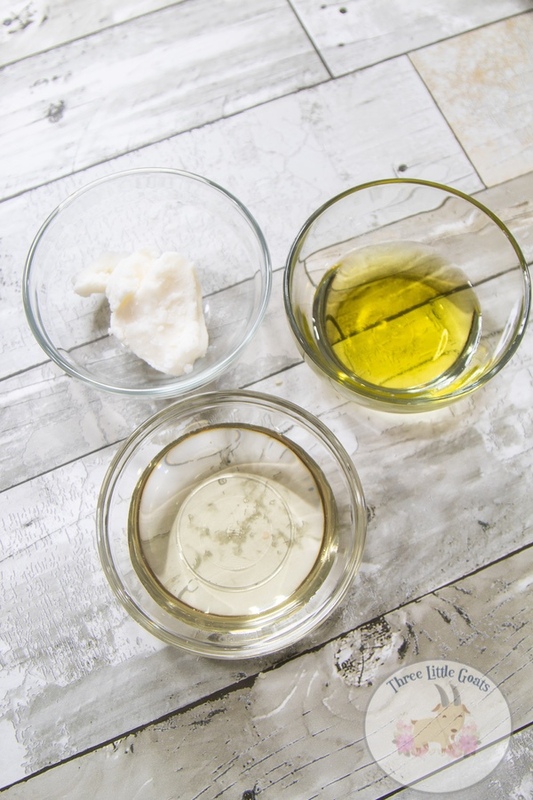 Not only do these oils and butters affect the lather and hardness of a bar, they can affect how your soap traces. 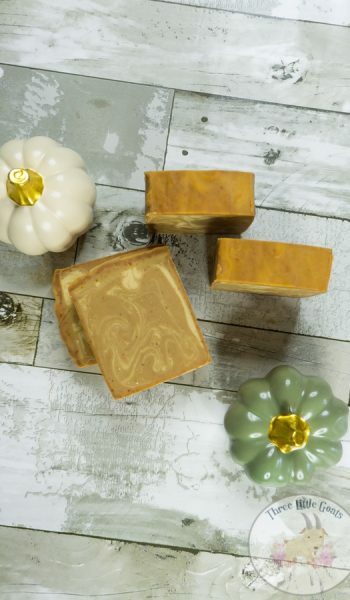 If you want a slow moving soap for intricate swirl designs, using higher amounts of oils, such as olive oil or canola oil and avoiding castor oil or jojoba oil will give you more time to work. 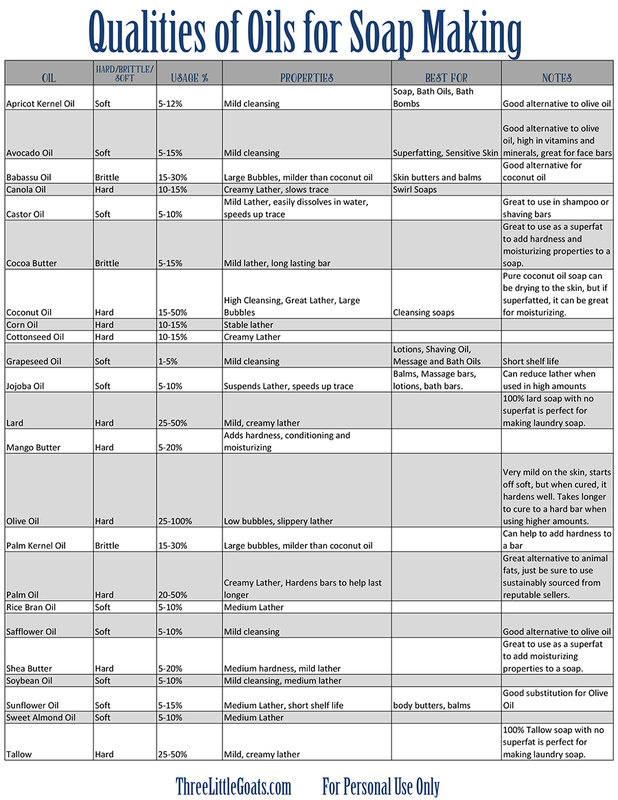 I hope this Qualities of Oils for Soap Making chart helps you on your soaping adventure! 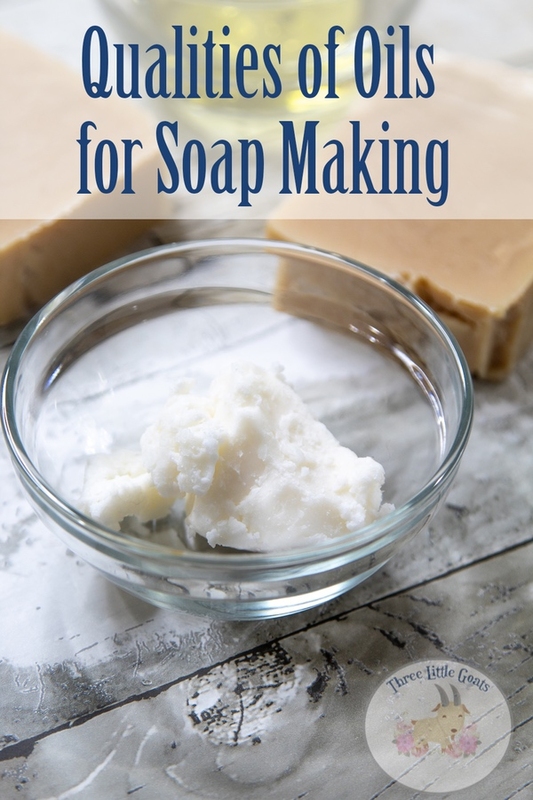 Also, be sure to check out our YouTube channel where we have started a Beginners Soap Making Course, where we will walk you through the entire process of soap making! 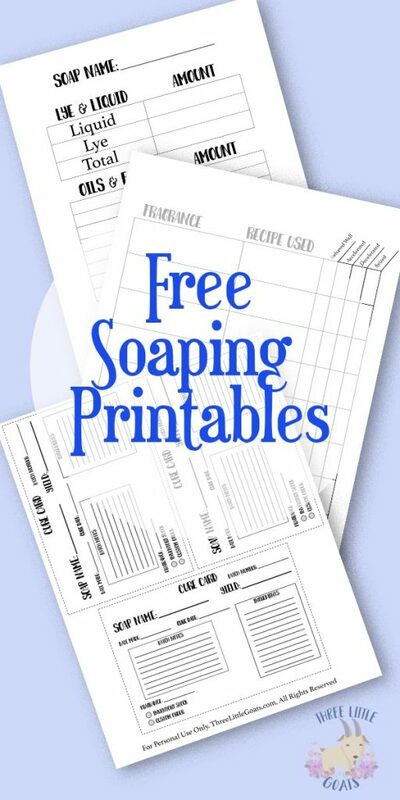 Be sure to also check out our free Soap Making Printables to help you stay organized and on track! 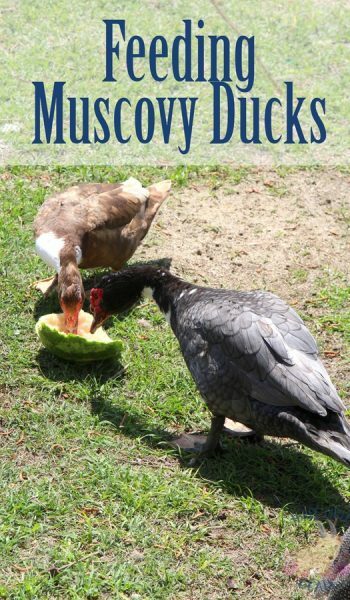 Previous Post: « What Do Muscovy Ducks Eat?